Well here at farmlay they do. We love our hens and why wouldn't we? 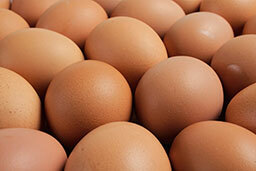 They lay nearly 3 million of our fantastic eggs every week. We work to our core belief in ensuring the best conditions for our hens because we know this gives us better eggs. 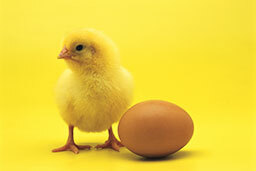 We manage every stage of the process, from day old chicks (told you the chicken came first) to the delivery of our eggs, so you can rest assured that not only do farmlay eggs taste great, they have been produced with a proven commitment to the highest levels of bird welfare.